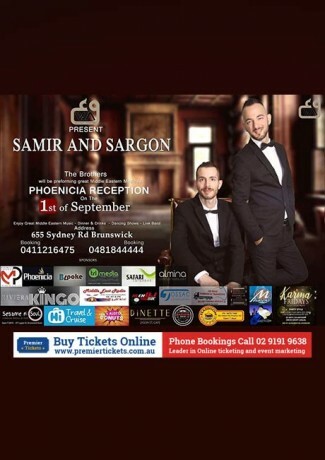 Every while Samir And Sargon invites supporters , friends , Fans , everyone who enjoy music & wants to spend a great time together sing the newest songs. Enjoy a nice dinner & drinks with friends & family.. The event is more for families and nice people. 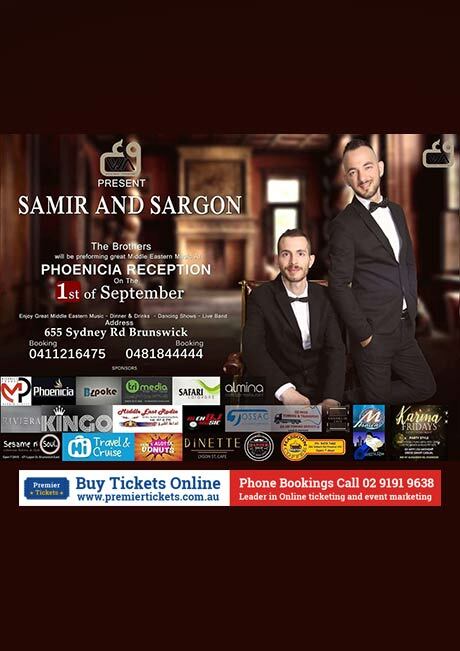 Samir And Sargon will be Singing with there full Band . We have belly Dancing as well. Many more exciting things. 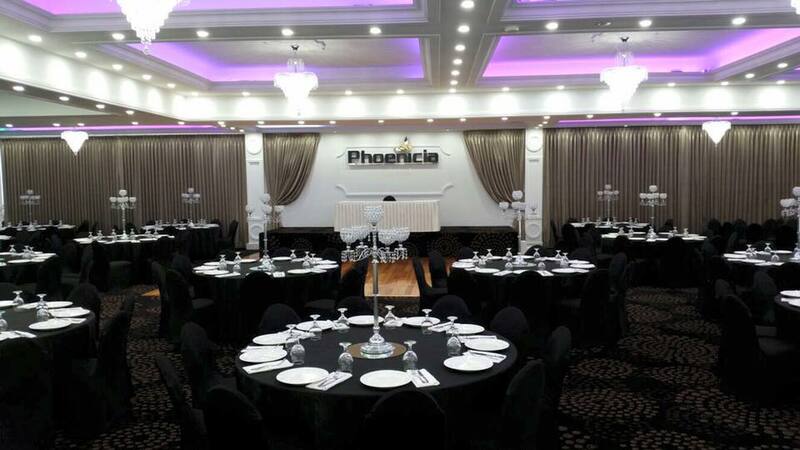 You can enjoy your dinner while watching our exhilarating show and listening to music playing and dance at the same time. Have a great night out & enjoy with your mates. It’s made for public entertainment & and for the love of music. DINNER & DRINKS Included in ticket price.